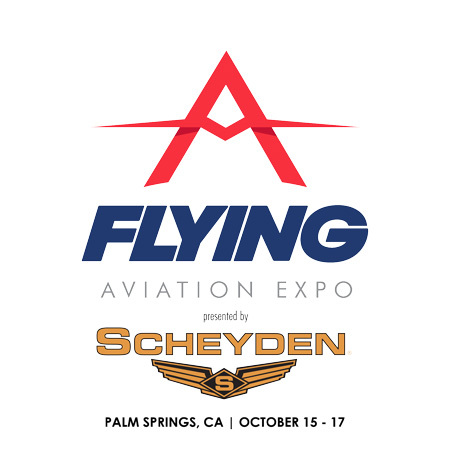 HUNTINGTON BEACH, CA (April 28, 2015) – Scheyden Precision Eyewear, the leader in the aviation world for eyewear, has agreed to terms to be the Presenting Sponsor of the Flying Aviation Expo for the next three years. The highly anticipated Flying Aviation Expo presented by Scheyden, is an annual event for aviation fanatics. Set to take place from October 15 – 17, 2015 in Palm Springs, CA at the Palm Springs Convention Center, the long weekend during early fall is a picture-°©‐perfect scene and an ultimate getaway for aviation enthusiasts nationwide. With expo attendance estimated to be well over 10,000 people, a wide variety of events, demonstrations, safety and educational seminars will be held while manufacturers show off the latest technology in aircraft and aviation products. Combining pleasure and family fun, this one‐of-a-kind fly-in event features aircraft, exhibit booths and conference panels serving pilots, aviation professionals and enthusiasts who want to learn more about flying. “Scheyden is a great sponsorship choice because of their track record in the aviation industry,” said Marco Parrotto, president of Lift Event Management. “We are thrilled to be partnering on such a great event for many years to come.” Palm Springs, one of the most highly desired vacation destinations in the US, boasts a tremendous number of fine hotels, restaurants and activities under nearly perfect skies and temperatures most of the year. Scheyden (SHAY-°©‐den) creates precision, handcrafted eyewear, watches, and luggage for individuals who demand nothing but the best. The Scheyden Precision Eyewear Collection is engineered to aerospace tolerances with the best materials available, and artisinally made in the small community of Fukui, Japan ‐ renowned for producing some of the finest eyewear in the world. The True Aviator Steam Gauge Watch is a multi-chronograph precision timepiece with liquid compass, and hails as the world’s first timepiece to feature the ATIS Aide-°©‐Memoire bezel. Scheyden’s Flight Crew luggage is built in America with the finest materials available for unparalleled durability and ease of use. So whether you demand precision on Land, Air or Sea, Scheyden understands that failure is not an option. For those who demand quality and precision, Scheyden delivers.